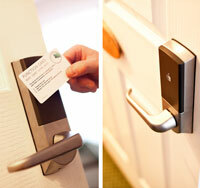 Not all types of locking mechanisms are created equal. Some are designed for specific purposes. We have provided a few brief explanations of the types of locks we offer to give you a better understanding of what type of lock you require. 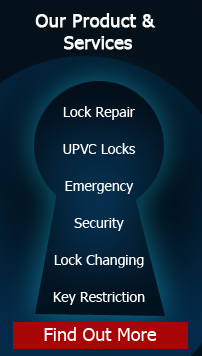 By you understanding, will help us understand what the issues are with your lock. These lock types fit inside the edge of the door. The Lock is a strip running along the edge of the door which has been morticed in the door. When the handle is lifted up all the locking points on the edge engage into the keeps, located on the side of the door frame. 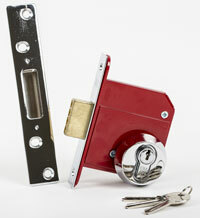 These locks come in many different variants and types and can be fitted to almost any door, composite, metal or wooden. 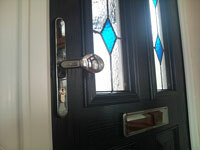 Typically, we fit a rim cylinder lock around shoulder height on a wooden door. Primarily the door is the front entrance. 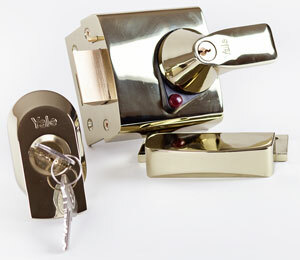 These locks are often referred to as Yale locks. 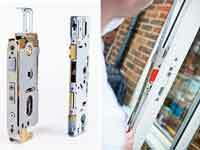 Most often these types of locks are fitted to UPVC, metal, and composite doors. Typically for newly renovated blocks of flats or new constructions, a Euro Cylinder is chosen for the locking mechanism. They can be either key and thumb turn (A) or key and key (B). At Kingdom Keys, we carry a vast stock of these lock types; many different sizes are available to accommodate any installation. With a handle above the keyhole, we mostly fit these locks to the external rear entrance, but are just as often fitted to internal wooden doors. When fitted in the wooden doors, the lock is placed about waist high. Because it is a commonly used lock, we carry a large selection of styles, finishes and sizes, for every home décor as well as different security grades. 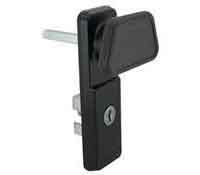 Similar to the Mortice Sash lock, but without a handle above the keyhole. 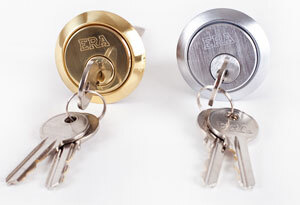 We fit these types of locks in many different styles, finishes and security grades as well. Like the Rim Cylinder but with an additional latching mechanism. Typically fitted at shoulder height on wooden doors. 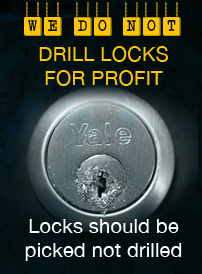 It is sometimes referred to as a ‘Yale’, although that is a brand not a type of lock. These come in different styles, sizes & security grades. 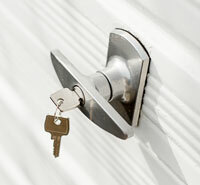 Cam locks secure your cabinets, lockers and post boxes. We can typically fit any size or variety because we carry with us, a large inventory on our vans, but occasionally find a size we will have to special order. Perhaps the most common of garage door locking mechanisms. 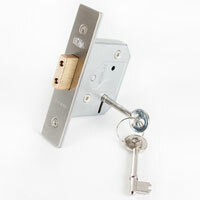 We stock a large variety of these lock types and we carry them with us. No need to change the whole handle if you just require new keys as we can change the cylinder, but alternatively, if the handle is damaged we have them in stock. 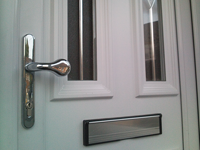 Either white or brown in colour, these doors are commonly referred to as Double Glazed or plastic doors. It will be equipped with a morticed UPVC lock. (see lock type). Either white or brown in colour, these windows are commonly referred to as Double Glazed or plastic windows. They will usually be equipped with an espag UPVC lock. Commonly found in new builds, these high-gloss finished doors have a timber or metal skin and also use a morticed UPVC lock. This type of door is legally required to be fitted with a thumb turn cylinder when it is found in communal entrances, student accommodations or apartments. 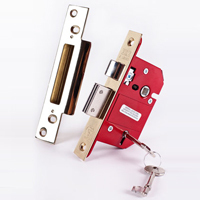 All commercial buildings are required to have cylinder lock cases. Sometimes it is nice to be able to leave your windows open, but sadly these days we need to think about security first. If we cannot leave it safetly open then we tend not to have the window open. 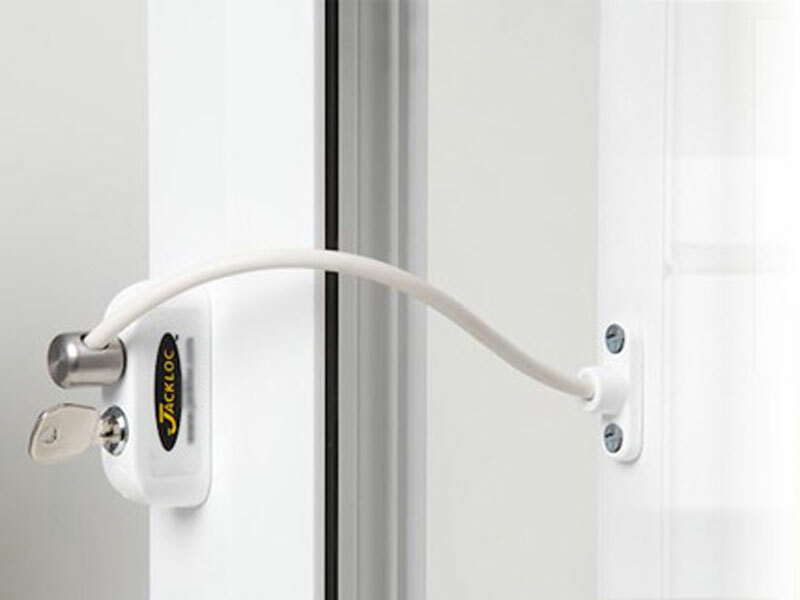 A security feature that may be worth thinking about for the warmer months and as a safety precaution for young children is the use of window opening restrictors. These enable windows to be left slightly open allowing in fresh air but restricted in opening further by a window opening restrictor lock. Access controlled devices are used to control the access to office doors and buildings, hotel rooms, a shop or any other entry point needing a higher level of security. Even ATM machines are access controlled. There are many different types of access controls like, biometric readers, (finger print reader) electronic keypads and combination locks.